How valuable is LinkedIn for marketing your firm? Yourself? Sources project that LinkedIn will have over 500 million users by 2020. 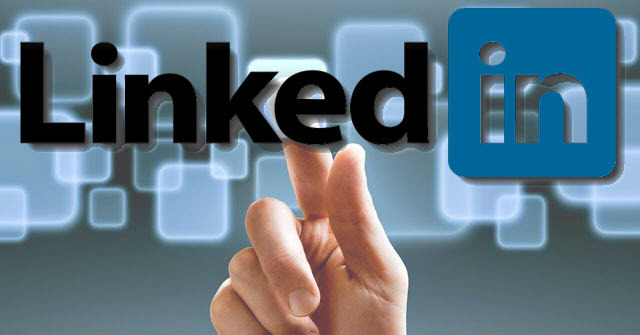 In this article, Lee Frederiksen discusses how LinkedIn can be used to market an organization. the professional social networking site. Actually, that is quite a blistering pace. It works out to 63 million new users a year, and is expected to push the total number of LinkedIn users to 500 million by 2020. Perhaps even more surprisingly, this number includes not only individuals seeking new jobs, but also corporations, associations, and other groups using the platform to accomplish a multitude of goals. Why the rush onto this one specific social networking site? The answer is that social media in general is transforming how buyers learn about potential vendors and partners, and LinkedIn in particular is an especially powerful and credible resource of relevant information. In fact, about sixty percent of buyers are checking out potential professional service providers on social media before purchasing—and of those, seventy-five percent use LinkedIn as their preferred social media platform. You may still be skeptical about social media, and you might think that LinkedIn is simply a recruiting forum (which was essentially true up until a few years ago). But LinkedIn has evolved and become much more diverse—and those who do not adopt it as a key piece of their marketing strategy could easily fall behind their competitors. Notice that I did not even include recruiting and job search in this list—even though they are still two areas in which LinkedIn excels. Still not sure whether LinkedIn can help your organization? Let’s drill down into just one of the functions mentioned above: lead generation and nurturing. LinkedIn makes it easy to research and develop relationships with target clients, and also leverage your existing connections to get introduced to additional contacts. It also allows you to position yourself as a trusted expert in your field (perhaps even a thought leader) by publishing articles and participating in discussions with industry colleagues. For even greater impact, you could network within relevant LinkedIn Groups, or learn about the specific individuals who have viewed your profile for later follow-up. If you have not yet focused on LinkedIn, what can you do to get started? Create a personal LinkedIn profile that is complete and well-optimized. Make the right first impression with a professional photo and a headline that clearly describes your expertise. Use the Summary section to share your story and connect with your prospects’ challenges, and showcase your relevant job history in the Experience section. Make sure to go beyond the basics, and highlight your professional accomplishments in such sections as Certifications, Publications, Skills & Recommendations, Honors & Awards, and Volunteering & Causes. Last but not least, take some time to consider which specific terms your potential clients might use to search the Internet for someone with your experience and specialized knowledge. If you are not familiar with SEO (search engine optimization), these terms will be your own “keywords.” By using these words in the headlines, Summary, and Experience sections of your LinkedIn profile, you can make it easier for people using Google, Bing, or even LinkedIn itself to find you. After you have created your own profile, start looking for one or more LinkedIn Groups to help you target your firm’s content very specifically to each of your audiences. LinkedIn Groups allow you to reach highly valuable prospects who are not only in the right industries, but who are also in the right departments and roles (i.e., the influencers and decision-makers you want to develop as leads). Best of all, you are making these contacts outside of your existing networks—connecting with strategically-chosen individuals to whom you may currently be invisible. Before you know it, you will find yourself using LinkedIn frequently to connect with new contacts, engage with and nurture leads, and recruit new talent. You can learn more by downloading a free guide that my firm has created, The LinkedIn Guide for Professional Services Executives, or visiting a page describing the special LinkedIn training service we offer to members of NACVA. Lee W. Frederiksen, Ph.D., is Managing Partner at Hinge, the leading branding and marketing firm for the professional services. Hinge conducts groundbreaking research into high growth firms and offers a complete suite of services for firms that want to become more visible and grow. Mr. Frederiksen can be reached at (703) 391-8870 or e-mail to LFrederiksen@hingemarketing.com.